DAVID LE/Staff photo. 4/29/15. 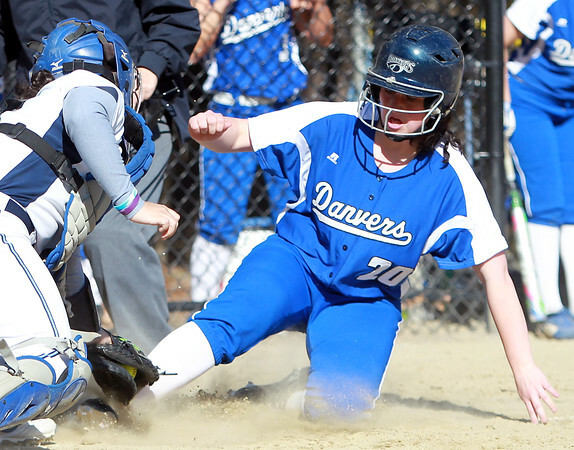 Danvers senior captain Caitlin McBride (20) slides safely into home plate before Peabody catcher Kayla Santos, left, can apply the tag. McBride scored the only run of the game on a double by junior captain Madison Mucci.